"Fundamental laws of capitalism", Dio mio! 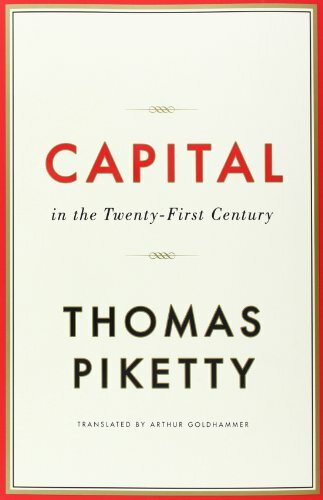 A Comment on Thomas Piketty’s Capital in the Twenty-First Century . Thomas Piketty’s heart is definitely in the right place. Capital in the Twenty First Centuryaddresses the great question of our times: the phenomenon of persistent and rising inequality. Piketty has amassed data — both from a motley collection of sources and from his own empirical work — that shows how inequality has not just been high, but on the rise. Piketty purports to provide an integrated explanation of it all. Paul Krugman calls it “the unified field theory of inequality.” Comparisons to Marx’s great Capital abound (perhaps not entirely unsolicited). Even in this quick-moving bite-hungry world, everyone is still cheering, weeks after the English translation has appeared. That’s pretty amazing. Long ago, there was Simon Kuznets, an American economist who painstakingly (but with relatively little at his informational disposal) attempted to piece together data on economic inequality in developed and developing countries. With a rather remarkable leap of intellectual virtuosity,Kuznets formulated what soon became known as the Inverted-U Hypothesis (or the Inverted-U Law in some less timid circles): that economic inequality rises and then inevitably falls in the course of economic development. Remember, Kuznets was writing in the 50s and 60s, when all within his experiential ken was agriculture and industry and not much else. So, to him, the story was clear: as an agricultural society transits to industrial production, a minority of the labor force begins to work in industry, and both this minority as well as the relatively few industrial capitalists receive high profits, thereby driving up inequality. Later, as the minority of industrial workers turns into a majority, and as other industrialists come to challenge the incumbent capitalists, the initial inequalities are competed away, leading to a phase of falling inequality. There is also the not-so-small matter of the United States, an exception noted by Piketty. It is unclear that the story of rising inequality in the US is one of physical (or financial) capital coming to dominate. Rather, inequality in the United States appears to be propelled by incredibly high returns tohumancapital at the top of the wage spectrum. This points to a very different set of drivers, and also shows that the physical capital story is not pervasive. Piketty’s Laws 1 and 2 can, alas, be dismissed out of hand. (Not because they are false. On the contrary, because they’re true enough to be largely devoid of explanatory power.) For the benefit of the reader interested in a brief, self-contained account, I have relegated a statement of these laws to an appendix (see below). Law 2, which links the savings rate, the capital-output ratio and the growth rate, is the famous Harrod-Domar equation. This goes further than mere tautology, unless we allow all these three variables to freely move, in which case it is not much better than Law 1. Law 2 turns into a falsifiable theory once we impose further restrictions: Harrod did so by presuming that the capital-output ratio is constant. Solow did so by presuming that the capital-output ratio evolvesalong a production function. Piketty, as far as I can tell, does neither. For instance, there are sections in the book thatexplainthe rise in the capital-output ratio by referring to a fall in the rate of growth. (See the Appendix.) This is silly, because the rate of growth is as much as an outcome as the capital-output ratio, and cannot be used as an “explanation” except one of the most immediate (and therefore un-illuminating) variety. Moreover, these relationships pertain to simple equations that link macroeconomic aggregates: national income, capital-output ratios, or the overall rate of savings. Without deeper restrictions, they are not designed to tell us anything about thedistributionof income or wealthacrossindividuals or groups. And indeed, they do not. Here is what Piketty concludes from this Law, as do several approving reviewers of his book: that because the rate of return on capital is higher than the rate of growth overall, capital income must come to dominate as a share of overall income. Once again, we are left with a slightly empty feeling, that we are explaining one endogenous variable by other endogenous variables, but I don’t want to flog this moribund horse again. Rather, I want to make two related points: (a) the above assertion is simply not true, or to be more precise, it may well be true but has little or nothing to do with whether or not r > g, and (b) the law itself is a simple consequence of a mild efficiency criterion that has been known for many decades in economics. Indeed, most economists know (a) and (b), or will see these on a little reflection. But our starry-eyed reviewers and genuinely interested readers might benefit from a little more explanation, so here it is. The rate of return on capital tracks the level of capital income, and not its growth. If you have a million dollars in wealth, and the rate of return on capital is 5%, then your capital income is 50,000 dollars. Level, not growth. On the other hand, g tracks the growth of average income, not its level. For instance, if average income is 100,000 dollars and the growth rate is 3%, then the increase in your income is 3000 dollars. Saying that r > g implies that capital income will grow faster than labor income is a bit like comparing apples and oranges. Now, is there anything special aboutcapitalincome that would make their owners save more of it? After all, a dollar is equally green no matter which where it grows. The answer is a measured “not really,” with the little hesitation added to imply: well, possibly, because the owners of capital income also happen to be richer than average, and richer people can afford to (and do) save more than poorer people. But that has to do with the savings propensities of the rich, and not theformin which they save their income. A poor subsistence farmer with a small plot of land (surely capital too) would consume all the income from that capital asset. It may well be that the return on that land asset exceeds the overall rate of growth, but that farmer’s capital income would not be growing at all. But the Piketty faithful will still cling to the magic of that all-pervasive formula: $r > g$. That looks right, doesn’t it, and besides, it is impressive how empirically the law appears to hold through decades of data. My answer is: yes, it does look right, and its empirical validity is indeed impressive, but to me it is impressive for a different reason: that it is a mini-triumph of economic theory (2). Here is a fact. Take any theory of economic growth that is fully compatible with “balanced income growth” of all individuals, the kind we already know does a bad job in explaining rising inequalities. Under the mildest efficiency criterion — one that essentially states that it must be impossible to increase consumption for every generation, including the current generation, by lowering savings rates — it follows, not empirically but as a matter of theoretical prediction, that r > g. Piketty’s Third Law has been known to economic theorists for at least 50 years, and no economic theorist has ever suggested that it “explains” rising inequality. Because it doesn’t. It can’t, because the models that generate this finding are fully compatible with stable inequalities of income and wealth. (More on this in the Appendix below) You need something else to get at rising inequality. What then, explains the marked and disconcerting rise of inequality in the world today? Capital, in the physical and financial sense that Piketty uses it, has something to do with it. But it has something to do with it because it is avehiclefor accumulation. It is probably the principal vehicle for accumulation by the top 1% or the top 0.01%, simply because there are generallylimits on how high the compensation to human capital can be in any generation. It is hard enough to make a few hundred thousand dollars in annual labor income, and reaching the 10 million mark is far harder and riskier. But physical capital — land and financial assets — can be steadily and boundlessly accumulated. In this sense Piketty is right in turning the laser on capital. But, as I said, it’s just a vehicle. (Even a lower middle class family in a high-income country can buy a few shares of Apple or Google.) What’s driving that vehicle is the main question. On this I have three things to say. There is a simple argument why this law must hold. It is this: capital can be indefinitely accumulated, while the growth of labor is fundamentally limited by the growth of population. Therefore there is always a tendency for capital to become progressively cheaper relative to labor, and so all technical progress must be fundamentally redirectedawayfrom labor. But there is a subtlety here: that redirection must of necessity be slow. If it is too fast, then the demand for labor must fall dramatically, resulting in labor being too cheap. But if labor is too cheap, the impetus for labor-displacing technical progress vanishes. So, this change must be slow. But it will be implacable. To avoid the ever widening capital-labor inequality as we lurch towards an automated world, all its inhabitants must ultimately own shares of physical capital. Whether this can successfully happen or not is an open question. I am pessimistic, but the deepest of all long-run policy implications lies in pondering this question. (1) To be sure, as Piketty (p.300) notes, “a very substantial and growing inequality of capital income since 1980 accounts for about one-third of the increase in inequality in the United States — a far from negligible amount.” But it is the inequality in labor incomes that accounts for the bulk of it. (2) The fact that economic theory occasionally uses some mathematics isn’t reason to abandon it. Rather, it suggests that as readers, we need to work a little harder ourselves instead of having things handed to us on platters suitably disinfected of mathematical symbolism. O. Bonnet, P-H Bono, G. Chapelle and E. Wasmer (2014), Does housing capital contribute to inequality? A comment on Thomas Piketty'sCapital in the 21st Century, SciencesPo Economics Discussion Paper 2014-07. P. Krugman (2014), “Why We’re in a New Gilded Age,”New York Review of Books, May 8, 2014. T. Piketty (2014),Capital in the Twenty-First Century, English edition translated by Arthur Goldhammer, Cambridge, MA: Harvard University Press. D. Ray (1998),Development Economics, Princeton, NJ: Princeton University Press. “Piketty findings undercut by errors,” TheFinancial Times, May 23, 2014. The First Fundamental Law: The share of capital income in total income equals the rate of return on capital multiplied by the capital income ratio. Now it is absolutely evident that the above is an accounting identity (of course Piketty recognizes this as well), and can hardly deserve the status of a “law.” It may well be useful in organizing our mental accounting system, but it explains nothing. The Second Fundamental Law: The rate of growth of national output equals the savings rate out of national output (net of depreciation) divided by the capital-output ratio. (Emphasis mine in both quotes.) These observations — and several others that I do not have the space or the inclination to record — call into question the entire notion of “explanation.” What does it mean to explain the rise in the capital-output ratio by a slowdown in growth, when that latter variable is just as much an outcome rather than a primitive cause? The Third Fundamental Law. The rate of return on capital systematically exceeds the rate of growth: r > g.
where s is the savings rate and g is the growth rate of output. The condition r > g now pops out of the simple restriction that countries are not in the habit of saving 100% of all their income, so that s <1. Note how this has nothing to do with whether inequality is narrowing or widening in that country. There is no contradiction here, let alone a central contradiction. What is interesting is that r > g is not just a consequence of this simple model, it is a conse-quence of any model of growth (including the Solow model), provided that we insist on “dynamic efficiency.” Dynamic efficiency simply states that an economy does not grow so fast as to spend so as to negate the initial (economic) purpose of growth, which is to consume. For instance, in the simple Harrod model, if the savings rate s= 1, then the economy will grow as fast as it can, but no one would ever consume anything (now that would be a better central contradiction). Any other savings rate in the Harrod model is actually dynamically efficient: there is no way to alter the resulting path of consumption and output so as to provide higher consumption at all dates. So much for the Harrod model. In more general models of growth, this condition is more subtle and imposes deeper restrictions. One beautiful manifestation of this is the celebrated Phelps- Koopmans theorem, which places limit on how quickly an economy can grow in order to satisfy dynamic efficiency. That theorem yields r≥g. The strict inequality follows with just a bit of discounting of the future. Don’t get me wrong. I am not trying to suggest that a simple, aggregative condition such as that derived in the Phelps-Koopmans theorem explains the world. All I am saying is that it explains why r exceeds g. But the fact that r exceeds g explains nothing about the rise in inequality. E che adesso che non c'è più da aggredire Grillo, si annaspi. Ma è solo una sensazione, non ve ne offendete, neh! eisteva ben prima di Grillo e continuerà anche dopo non si preoccupi. Era però divertente notare questo post così diverso, in inglese, di tono ecumenico e prospettiva secolare, mentre fino a ieri si analizzavano in dialetto abruzzese le "coperture" della proposta di legge pippieripippi del movimento cinque stelle. Pareva di scorgere, qui, un esaurimento della vis pugnandi, un buen retiro in dissertazioni di spirito. Il relax post prandiale e la palpebra abbassata, come del can satollo che si fa un pisolino. Ma la mia era solo una boutade, non v'ha ragione di prendersela! Riduzione Irpef; Sicurezza negli stadi; Un giorno triste triste;Giornata nfa; Capire la questione euro;Uscita dall'euro; (Cattivi) Dottori; Il fisco e il lavoro delle donne; Fantasia al potere e questo. Direttamente su Grillo ce ne è solo uno. Ti dirò: nessuno mi sembra scritto in dialetto abruzzese, a meno che il tuo riferimento all'abruzzese non sia una boutade per dare del terrone a Marco Esposito che però non avrà ragione di prendersela...immagino. Comunque nfA è divisa in sezioni: comik noise, ex-Kathedra, biblioteka ecc ecc ognuna ha un diverso scopo e un diverso stile. Quindi non c'è nulla da stupirsi se un articolo su "comiknoise" ha un taglio diverso da un articolo su "Biblioteka" o "Ex-Cathedra". Il dialetto abruzzese era solo per dire che gli ultimi post avevano un respiro molto meno ecumenico, "universale", di questo (potevo scrivere dialetto vicentino, o dialetto barese) non lo so se qualcuno dei redattori è abruzzese, e non volevo dare del terrone a nessuno. Avevo notato quello che mi era parso un cambio brusco di tono, all'indomani delle europee, e ci avevo fatto una battuta su. Solo per fare una battuta, e per eventualmente stimolare una riflessione (ma altrove, non in questo post, dove sarebbe fuori tema) sul risultato delle europee, non buono per il M5S, ma ancora peggiore per la lista "Scelta Europea" composta da Scelta Civica e FARE. l'aumento al 26% del capital gain dei risparmiatori (chiamata propandisticamente aumento delle tassazione sulle "grandi" rendite finanziarie)e' il classico esempio di come viene tradotto in pratica tutta questa propaganda anti-disuguaglianze per prendere per i fondelli il popolo ignorante. Il 26% viene pagato solo dai risparmiatori privati, chi ha piu' del 2% di un'azienda (quindi i grossi imprenditori italiani) paga circa il 50% dell'irpef, quindi tra l'11,5 e il 21,5% (quindi DI MENO del piccolo risparmiatore), le banche e societa' finanziarie pagano le tasse sulle imprese,cioe' IRES e IRAP, per cui con la recente manovra hanno avuto in dono una DIMINUZIONE delle loro tasse sulle rendite finanziarie (con la diminuzione del 10% dell'IRAP). 'seeing the mote in sb. 's eye, but NOT THE HUGE MASS OF MESS .... in my own family. i) quanti sono i premi Nobel Italiani (post Galileo Galilei)? Gli avvocati, i giornalisti e i caxxari in Italia? (ii) who's the New PRESIDENT at ENI? what's its - no typos - business name? Credo le teorie di Piketty possano valere in un sistema tendenzialmente di mercato ab origine in seguito 'catturato'. Non in uno gia' drogato/catturato ab origine..con balena bianca di mezzo, peraltro, almeno dal 1980! le problème doit être compris dans son ensemble, dans sa totalité, il me semble. il y a quelque chose que je ne comprends pas....donc. E non si parla di R&D, concorrenza, pressione verso efficienza e meritocrazia...recherche-développement). Altro che controfattuale. Piketty in Italide sarebbe andato a nozze! Come dice il Prof. ZIngales, il futuro e' il mondo: sara' per quello, che non ho piu' amici in Italia (Itali-de)? Mi spiace per i toni. Ma davvero non ci siamo. Lungi da me difendere la Marcegaglia (anzi) ma oggettivamente di "top manager" italiani che parlano l'inglese come Di Pietro parla l'italiano, che sono dove sono perchè figli (o nipoti) di proprietari e non per meriti accademici/curriculari è piena l'Italia. Però a me sembra ci si inalberi di più (se non solamente) quando il soggetto in questione è una donna. Sbaglio? In imprenditoria la casistica femminile è scarsa ma noto che in politica, dove le femminucce sono un po' di più, è un continuo chiedere le competenze e il curriculum della ministra/candidata x o y (stranamente solo quando è carina, se è bruttarella tipo la Bindi o la Finocchiaro non c'è bisogno, ci fidiamo). Nessuno mai si sogna di chiedere competenze, conoscenza delle lingue e cv ai vari Casini, Fini, Salvini e compagnia che evidentemente hanno una vita professionale extrapolitica colma di successi incontestabili. Ho due sorelle trentenni, che hanno un miglior curriculum di qualsiasi ministra ci abbiano propinato PD e PDL negli ultimi 10 anni. Ed infatti lavorano all'estero, ma soprattutto non credo siano una eccezione. Sono certo che ci saranno milioni di Italiane che hanno curriculum migliori delle varie Gelmini, Carfagna, Bindi, Marcegaglia, Comi, Bonafé, Picerno, Boschi e compagnia cantante. Ne conosco personalmente uno stuolo. La Marcegaglia in un paese democratico sarebbe improponobile in quel ruolo in una azienda semi pubblica. P.S. : è un paio di giorni che i quotidiani nazionali attaccano una neo eurodeputata del M5S, tale Giulia Moi, che non conosco. Sono andato a vedere il CV, ha un miglior CV del 90% dei parlamentari italiani, almeno, ed è a mio parere migliore di quello delle signore sopra citate. Due pesi e due misure? Non capisco il collegamento tra quel che dico io e le risposte sua e di Alessandro. Io non sostengo nè che la Carfagna o simili abbiano un curriculum valido per il loro ruolo politico (ma sarà meglio quello di Tosi o di Ferrara? ), nè che lo abbia la Marcegaglia per il suo ruolo manageriale. Non mi interessa questo (tanto non ci potrei fare nulla comunque). Quello che noto è che l'idea di chiedere e/o contestare il curriculum in Italia sorge (quasi) esclusivamente quando si parla di donne, soprattutto se giovani e/o carine. Non solo in politica o nel mgmt anche nel giornalismo: io di dibattiti sui meriti della Borromeo o della Innocenzi ne ho sentiti a bizzeffe, mai sentito nulla sui Telese o sui Parenzo. Se sono uomini non ci si pone (quasi) mai il problema. Non si capisce bene il valore del suo cv, ammesso che c' entri qualcosa col suo potenziale valore come politica. Basti pensare al ministro Madia, che ha un ottimo cv, e persino pertinente al suo ruolo, eppure non si fa mancare castronerie alla bisogna, e che tra l' altro pur non essendo M5S viene più ricordata dalla stampa per i suoi amori passati con Napolitano Jr che per i suoi studi. Comunque, la Moi nel suo video di presentazione, si vanta tra l' altro di aver vinto l' erasmus e dice di esser fermamente contraria all' uso di animali per la ricerca. È pure contro gli ogm. Il suo PhD ( "PhD_Doctor in Philosophy" ) risulterebbe peraltro secretato, ma parlerebbe di farmaci oncologici di origine naturale provenienti da una pianta del Sud Africa. Non sono del settore, e spero vivamente di essere smentito, ma non mi riesco a fidare di tutto ciò. Menzione speciale va comunque a Ignazio Correo, campione nazionale di preferenze per il M5S, che si è pubblicizzato con questo pregevolissimo video. Sarà interessante vederli in Europa a chiedere di condividere il debito, gli eurobond e allo stesso tempo proporre un referendum per decidere se restare o no nell' euro, come promette l' altro neoeletto Marco Valli. Qui tutti i video di presentazione degli eletti. Tra l' altro c' è chi sostiene che la vittoria di alcuni di loro sia dovuta al cognome, dato che la disposizione in lista era in ordine alfabetico e che è pratica comune votare i primi quando non si sa a chi dare la preferenza. In effetti molti di loro hanno cognomi che inizano per a, b o c, ma la correlazione andrebbe dimostrata più seriamente. Il Sig. Corrao (si legge Corráo), non Correo, ha un CV piú che decente, e non comprendo il sarcasmo sul video che ci proponi. Tra l'altro, sul fatto che sia risultato il piú votato candidato del M5S, vien da pensare che gli Italiani, specialmente quelli che votano al nord, si meritino il porcellum, dato che a quanto pare non danno particolare importanza alle preferenze. Il M5S ha preso nella circoscrizione nordoccidentale ben oltre il doppio dei voti che in quella insulare, ma il Sig. Corrao ha preso oltre il triplo delle preferenze del primo eletto a nordovest. Un fenomeno questo dell'allergia alle preferenze correlabile all'inverso della latitudine. Chiedo scusa per averne sbagliato il cognome. Comunque, pur ribadendo che non credo sia il giusto metro per valutare il politico, mi sembra che abbia un cv abbastanza normale ( tanto per chiarire, le varie Marcegaglia, Boschi etc non avrebbero proprio nulla da invidiargli in questo senso. E nemmeno un Brunetta o un Calderoli, per esser ancora più chiari. ). Il sarcasmo lo faccio perché reputo il video di pessimo gusto estetico, e perché mi sembrava che ci si candidasse ad un posto al parlamento europeo, non al ruolo di Batman o qualche altro supereroe buono a impersonificare gli impeti anti-sistema dei sedicenni. Ma sono personalissime opinioni. Sulle preferenze, io credo di essere una persona che segue la politica più della media, eppure alla fine ho deciso per una candidata di cui so poco e nulla, solo perché suggerita da altra persona che stimo politicamente. Molte persone che conosco, appassionate di politica, hanno fatto lo stesso o non hanno espresso preferenze. Il punto è che vagliare una ventina di candidati ( o una quarantina nel caso non si sia ancura sicuri del partito ), la maggior parte dei quali perfetti sconosciuti ai non interni del partito, richiede molto tempo, moltissimo nel caso non ci si voglia fermare a giudicare una persona dal cv e dalle quattro dichiarazioni elettorali presenti sul suo sito ( quando il sito esiste ). Il problema si aggrava nel caso m5s, dove i candidati sono ancora più sconosciuti e dove la filosofia dell' uno vale uno tende ad appiattire il paesaggio. C' è quindi poco da stupirsi se molti non esprimono alcuna preferenza. La risposta a questo problema per me è l' uninominale. Ma qui siamo veramente off topic rispetto all' articolo. e gli altri mila-mila assimilabili a lei, vantano sempre cure per il cancro? quando anche debellare la cellulite e la calvizie garantirebbe un ottimo ritorno elettorale. il problema è che per gli inestetismi occorre produrre dei risultati, per malattie gravi invece no (e nemmeno servono lunghi studi, pare) può bastare la esibita volontà di far del bene, condita con un pochino di complottismo, i soliti oscuri nemici che ci vogliono tutti morti. Mi hai ricordato quel che disse E.Zola su Lourdes: "fra gli ex voto si vedono molte stampelle ma nessuna gamba di legno." tipo che ne trova uno ogni 3-4 giorni? A) Are sky-high income tax rates on the better-off of more than 80% the correct measure? ''Overall, the main argument is based on two false claims,”recently. “Firstly, that capital returns will be high and non-diminishing … Second, that this can happen without significant increases in real wages … I’m not convinced by the main arguments and the positive reviews I have read worsen rather than alleviate my anxieties." C) Will the rate of return always exceed the economy’s growth rate? Fact or assertion? D) (Krugman's remark) Piketty’s model might explain why plutocrats are getting ever wealthier but does not explain the phenomenon of the past 3 decades, that is to say the rise of top SALARIES . My opinion: Let's see. not sure about the r>g thesis, but don't know why it might not be true. The most obvious point is perhaps that loans (inter-temporal shifting) will always be needed by those without money, which generates returns for those with money, in perpetuity, regardless of economic growth. The only question is how sustainable high rates of economic growth are, and the lesson from history is that they are not sustainable at all. Let's put it this way: in his 1929 novel The Great Gatsby, F Scott Fitzgerald said: "Gatsby believed in the green light, the orgiastic future that year by year recedes before us. It eluded us then, but that's no matter - tomorrow we will run faster, stretch out our arms farther." before everything else...Don't you think so? Again, the debt-led/driven growth is the underlying - untouched - issue. America needed US$1.6 trillion to create US$300 billion dollars of miracle ‘growth’ in the economy. But was that 'growth'?